The psychology behind why we own too many clothes explains a lot about why our homes are filled with far more clothing than we ever use. Data from a OnePoll survey of American women showed that their closets contained an average of 103 items. Other surveys reveal that the majority of the items in closets are rarely (or never) worn, however. 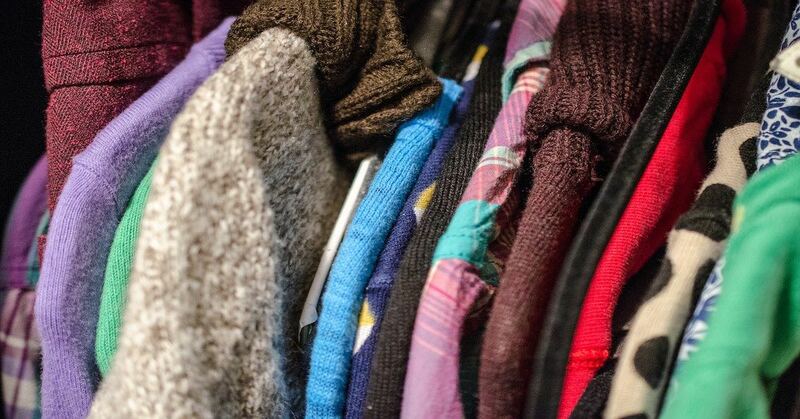 10 Yetis, a UK digital public relations company, surveyed 2,137 U.S. women and determined they had an average of $550 worth of unworn clothing sitting in their closets. A National Association of Professional Organizers study estimates 80% of your clothing is only worn 20% of the time. Unless you’re in the minority who adopt the minimalist approach and keep a small wardrobe, chances are you’re one of the many people who have a few items (or a lot more) of clothing tucked away at the back of your closets with price tags still attached. Along with the money that’s wasted buying clothes that are never worn, having too many clothes makes it much harder to stay organized. So why do we own too many clothes? Here are nine reasons that will provide some clarity. One of the biggest reasons our homes have too many clothes is that it’s too hard for most of us to pass up a bargain. Even for strong-willed consumers, a too-good-to be true sale price on a piece of clothing that appeals to you can be awfully tempting. We don’t even have to be completely won over by how that clothing looks, either. Great prices are always alluring, even for something you’re only casually interested in. Our judgement can get clouded by the thrill of taking advantage of an incredible bargain. And the more prestigious the brand name is on the sale item, the more appealing that deal looks, even if you don’t really need the item. If you’ve waited too long to come to the realization about any of the above, it may be too late to return the item. Clearance items also commonly have an “all sales final” policy that can eliminate any chance of getting a refund or store credit. Another major reason we own too many clothes is that we too often hold onto or buy clothing in anticipation of who we hope to be. This idealistic vision of our future self sometimes becomes fully-realized. Unfortunately, it often doesn’t. A very common example is the “I know I’ll fit into it one day” mentality. Clothing that hasn’t fit for years clogs up your storage space because you hold onto the hope that you’ll manage to drop enough weight to fit back into them. A study by Ellen McKinney and Elizabeth Bye found that 85% of the women they surveyed admitted they had clothing in their closets that didn’t fit. We also sometimes buy clothing for a lifestyle that we want, but never attain. For example, a fancy dinner dress is purchased for social events you want to attend and never do, for whatever reason. Or maybe you’ve bought a new outfit for working out, but just lack the motivation to do so, or never have the time. The clothing you bought quite awhile ago that was in style then may not be fashionable when you finally find it at the back of your closet three years later. 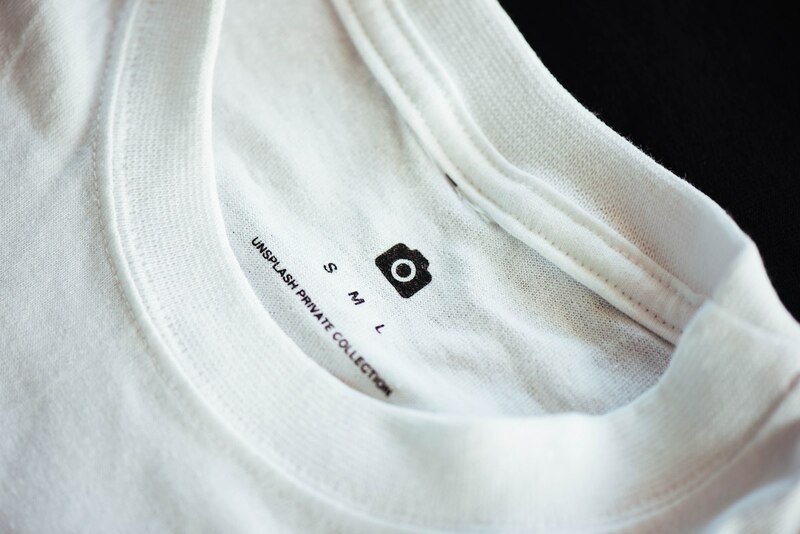 Not every type of clothing has the timeless fashionability of the white t-shirt. At that point, a return is out of the question and that aforementioned embarrassment about your wasteful spending causes you to hang onto the item you’ll never wear longer than you should. Suggestion: that pair of skinny jeans you bought a year ago and haven’t worn? Get your money’s worth out them now, because you never know. It’s a common thing for people to go shopping as a way to cheer themselves up when they’re feeling down. It’s such a common thing that the phrase “retail therapy” was coined as a shorthand name for it. Needless to say, retail therapy might provide some short-term comfort, but it also contributes to owning too many clothes. The ease of online shopping only makes it easier to buy clothing when you’re in the wrong frame of mind. And that includes being too tipsy. Yes, drunk online shopping also leads to bad shopping decisions made late at night when your inhibitions are a little too relaxed from drinking. We hold on to too many clothes we’ll never wear because we’re too ashamed to admit we made a mistake when we bought something that was barely worn or never worn. Unworn items bought long ago with price tags still attached are the hardest items to let go of. Tossing or donating clothing that hasn’t delivered a worthwhile return on investment for you is embarrassing and also just feels so wasteful. You’d think that you’d want to get rid of something that was a reminder of a bad buying decision (sometimes a very expensive one)! Buying clothes without having an adequate amount of storage space for them just causes more closet clutter. A disorganized closet makes it harder to find your clothing and can lead to wasteful duplicate purchases. According to a OnePoll survey, 61% of the women polled who had a hard time finding anything in their closet just ended up buying new clothes. Naturally, this only contributes to the vicious cycle that makes your closets even more disorganized. Having a smartly designed closet that includes a high quality closet organizer makes it much easier to manage your wardrobe. Not overfilling your closet with too many clothes is still your responsibility. A good closet organizer and some helpful closet accessories can definitely make life easier, though, and help you maximize your closet storage space. An organized closet helps you easily visualize what‘s stored within the space, allowing you to get more use out of your entire wardrobe. That favourite pair of jeans you’ve had for years can’t last forever. Every piece of clothing has a shelf life and at some point it’s just time to let it go if you can’t wear it any longer. You might also feel the obligation to hang on to something you never wear because it was a gift. That ugly, uncomfortable sweater your aunt gave you in 1998 that was worn exactly once? Get rid of it and lighten your closets and drawers of the burden of too many clothes. Buying things you think you should have just because of fashion peer pressure can lead to owning too many clothes. Maybe all your friends are buying the thing that’s all the latest rage, so you do, too. The problem is, that in-style piece of clothing just isn’t really you and subsequently never gets worn. There are certain “fashion staples” you’re always hearing or reading that you should have in your wardrobe. Examples include black pumps, classic white tees, wrap dresses, and ankle boots. But maybe none of these items fit your style or fashion taste. Try and stick to buying clothing and footwear that reflects who you are. Being more choosy with the clothes you buy and making an effort to declutter what you already have will simplify your daily routine. A decluttered wardrobe makes it easier to find things to wear, which saves you time and from getting frustrated. Having a smart closet storage and organization system also helps make your closets more functional. If you’ve decided you’re tired of owning too many clothes and could also use better closet organizers in your home, schedule a free in-home design consultation with Organized Interiors.